Betfair is primarily known as the largest betting exchange on the internet. Rather than a traditional sportsbook, an exchange allows you to wager directly against other players while the site picks up a commission. Betfair now operates a poker site, casino, and traditional sportsbook. The company is based in London and has offices in Malta where its casino branch is licensed. The software package Betfair uses for its casino and is the PlayTech platform. This is a favored software provider of many European gambling companies, particularly high profile UK firms. The software boasts over 400 games, which are all available in the downloadable casino. There are also instant play and mobile clients available. In our Betfair casino review you will learn that Betfair is regarded as a trusted name in online gaming and was floated on the London Stock Exchange in 2010. This provides an extra layer of security for players as the company’s books have to be transparent to investors and regulators. Once you have cleared funds in your casino account it is free and easy to transfer it to any of Betfair’s other gambling areas. You can find a number of roulette games in Betfair casino that guarantee to keep you entertained. The familiar American and European games are both available in a standard and premium format. The premium games have enhanced graphics making the tables look fantastic and feature higher limits. As both games are available in identical formats the American wheels should be ignored, as the double zero gives an increased house edge in this format. In addition to these, you can find other varieties including French Roulette, a game of the connoisseurs and Mini Roulette, a simplified version played with a 13 slot wheel. There is a pinball game where the betting remains the same but the slot is selected by firing the ball into a pinball layout and letting it drop down. This is fun for a while and really is no different to watching an animated wheel. I recommend the 3D Roulette table, which features a beautifully designed wheel in the foreground. If you prefer live play there are two live-dealer tables available, one which caters exclusively for high rollers. Here you can watch a real croupier run the games in front of you via a live-stream. These tables also tend to run with multiple players giving you the chance to interact, although you will find the minimum bet is typically higher. Should you feel like a change from the roulette tables there is plenty more action available. Slots fans will find a huge array of titles to choose from. Playtech has the rights to the Marvel Comics characters and many of newer titles include video chip features and interactive bonus rounds. You have the chance of receiving a big payout by playing one of the progressive jackpot games, which can get huge as they build up across all the Playtech casinos. All the favorite casino games can be found on Betfair including Blackjack, Craps, and Baccarat. These games feature multiple formats, which like the Roulette games, keeps them fresh. A wide range of Video Poker, Scratch Card games and Bingo is also available. Betfair offers you a wide choice of options for getting your money into their casino and profits out. The easiest method for most players is using a credit or debit card issued by either Visa or Amex. Here your details just like you were making any other online purchase and the funds are credited to your account. This casino happily accepts both Visa and MasterCard. If this is not convenient for you there are several e-wallet options including NETeller or Skrill, and the casino also accepts prepaid methods. Withdrawals can usually be made via the same method in which you deposited. In some cases, or if your balance is far higher than your deposit amount, this may not be the possible. In which case, there are alternative methods you can find including bank transfers and checks. Betfair’s customer support team will be able to provide any assistance needed. New players at Betfair Casino can claim one of three welcome bonuses. 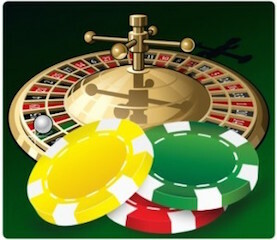 One is limited only to slots; however, there are two further options which allow some roulette play for real money. The first of these is the ‘All Games’ 200% match bonus up to £300. This means that when you deposit between £10 and £150 Betfair will credit your account with double the money you put in. 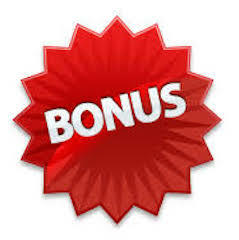 To withdraw this bonus, and any winnings made with it you need to complete a play-through of 37x the bonus amount. Roulette play can account for 20% of this clearance and there are similar allowances for other table and card games, although ensure you check the terms and conditions as some games and variants are excluded and you don’t want to be disappointed when withdrawing your winnings. The second welcome Betfair bonus roulette players might want to consider is the live casino bonus. This provides a 100% match up to £200 and requires a 60x play-through. While the bonus amount is lower and play-through is significantly higher, the good news is 100% of the bonus can be cleared playing live dealer roulette. Bear in mind the minimum bets in live games are higher than the regular casino so playing on a low bankroll will make you more prone to short-term swings, even with low house edge bets. Overall Betfair Casino is a great place to enjoy roulette. The company has a respectable history and proven reliability. In addition to a wide choice of games to keep you entertained, the bonuses can also be cleared by playing roulette for real money. While the live play bonus can be cleared by solely playing roulette, the higher minimum bets mean it is more suitable for larger bankrolled players than the standard ‘All Games’ bonus.